Barb Howe | Cross at the Greek! One of the my favorite aspects of cross is that you don’t need much space to hold a race. This means that races can be in urban areas making them accessible to more people. Recently Tim and I headed to the biggest urban area on the west coast – Los Angeles – for a weekend of UCI racing. Dorothy Wong, the tireless promoter of the SoCal Cross Prestige Series pulled off the historic first ‘cross race ever within Los Angeles city limits. 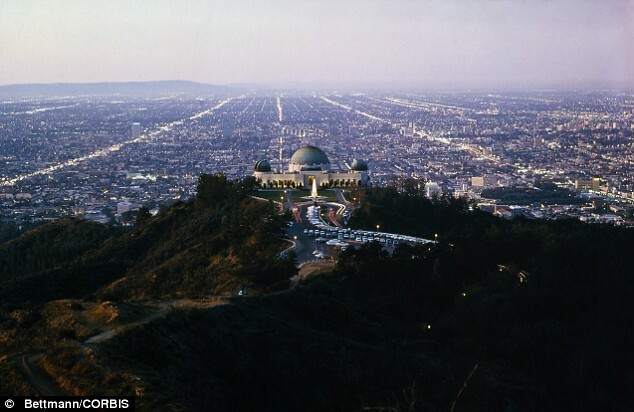 The race was held in Griffith Park, the largest municipal park with urban wilderness in the US. Amongst other things the park houses the Greek Theater, the Griffith Observatory (Rebel Without a Cause was shot there in 1955) and it has great views of the famous Hollywood sign. Thanks to a 6:30am start in Berkeley, Tim and I arrived at the venue with plenty of time to ride up the hill and gawk at the Hollywood sign. We also got a chance to navigate the course sans course tape, which is no easy feat. Saturday morning was sunny, clear and balmy with a 30% chance of rain. The last bit was puzzling since the only cloud I could see in the sky was the merest wisp of a mare’s tail. The weather played a good trick and within an hour the entire area was completely overcast – but being Southern California with perfect weather it remained a balmy 68°F and dry. The women’s field, though not large, had some fast ladies including Sue Butler, Kathy Sherwin, Devon Haskell and Kari Studley. I wasn’t super speedy off the line and then bobbled the sand pit on the first lap. (Sorry to all the ladies that I messed up on the first lap.) A few laps in I found myself leading Coryn Rivera around the course, someone whom I didn’t want to sprint. My legs felt great and with the help of my Southern California Filipino fan club – “The Flips” (their words, not mine!) – I managed to drop Coryn on the bumpy turns and roll in for fourth place. My goal for Sunday was to clear the sand pit every lap and move up a step on the podium. Mission accomplished: as you can see from Tim’s pictures I was moving pretty fast. Joking aside I felt great – the second half of the season is going much better than the first half and I plan to continue on this trajectory through Nationals. I’d like to thank Dorothy Wong for having the vision to put on a race in a very urban place. The course was great, the access was easy and it wasn’t a bad drive for us. I’d also like to thank our host family, Rick and Jan Babington. We met them through a Socal High School mountain biking connection. For those of you who don’t know about high school mountain biking, check out NICA. The league started in Northern California and there are now five states with their own leagues.